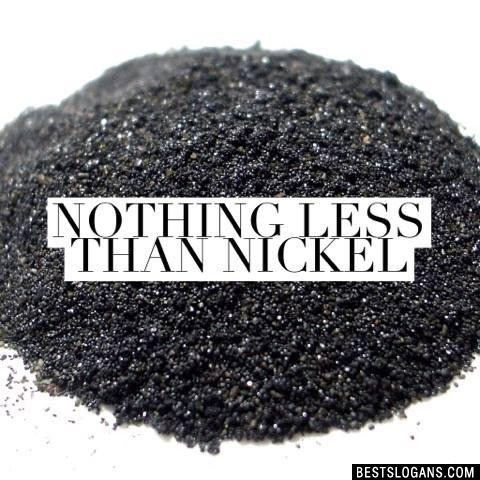 Great nickel slogan ideas inc list of the top sayings, phrases, taglines & names with picture examples. 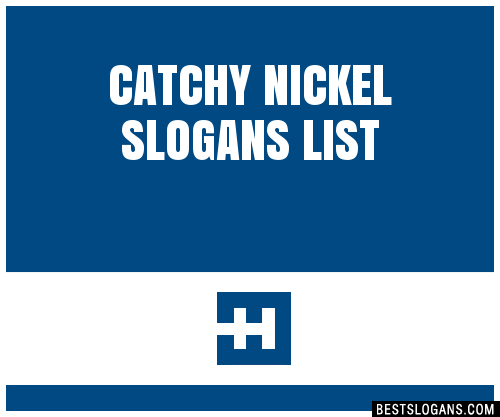 Here we've provide a compiled a list of the best nickel slogan ideas, taglines, business mottos and sayings we could find. The results compiled are acquired by taking your search "nickel" and breaking it down to search through our database for relevant content. 1 Nickel: It just makes good cents! 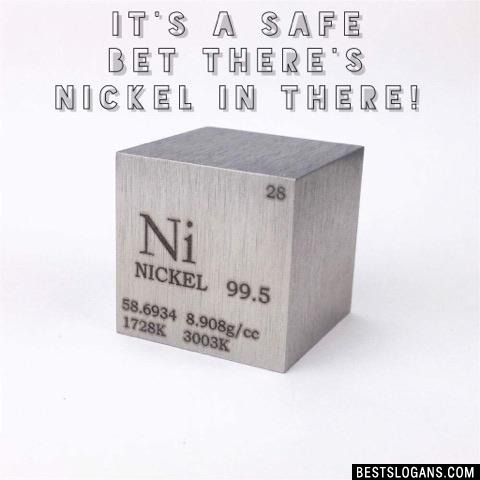 2 Get yourself out of a pickle, use Nickel! 3 Nickel: When Copper just ain't cuttin it! 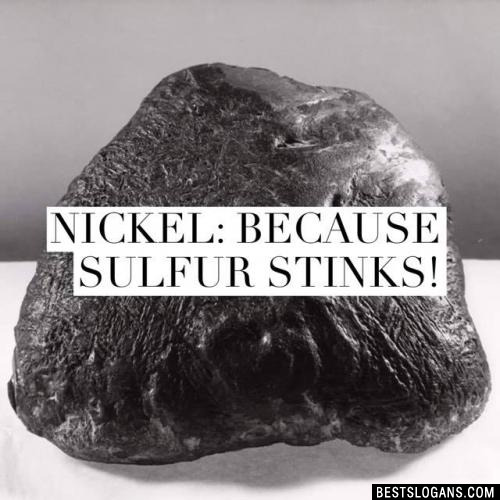 4 Nickel: Mercury Melts and Arsenic will kill you, but Nickel's your friend! 6 Why be fickle, buy yourself some Nickel. 7 Nickel: Worth way more than five cents. 9 Nickel, bickel, bo bickel, banana fana fo fickle... nickel! 10 You want a tickle for a Nickel? 11 Nickel: think it ain't worth a dime? 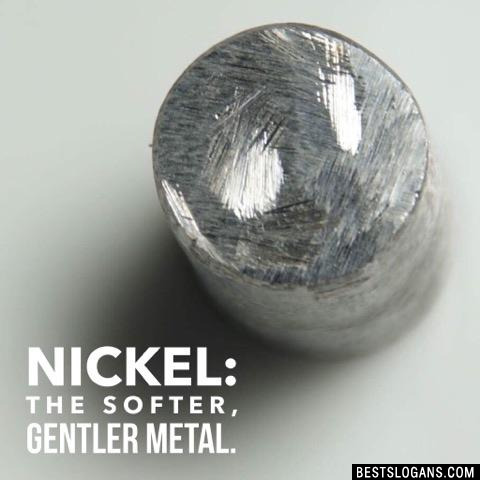 Nickel: The softer, gentler metal. 13 Nickel: Not just for the coin jar! It's a safe bet there's Nickel in there! 15 Nickel: Hard to break, easy to stretch! 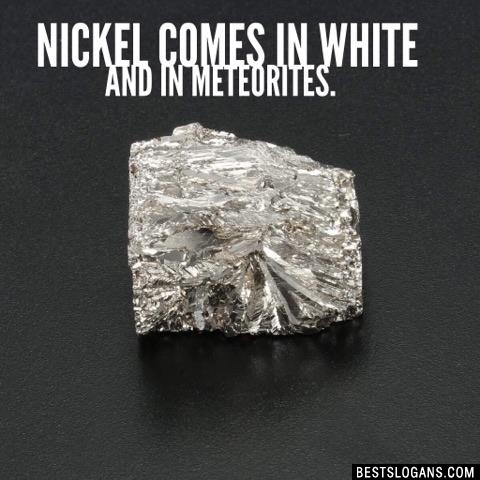 Nickel comes in white and in meteorites. 17 Nickel: from the core of the Lithosphere. 18 Corrosion? Nickel can do it .